Among with the gods and goddesses of the realm, spirits also have a deep presence among the order of the realm and life of its societies. 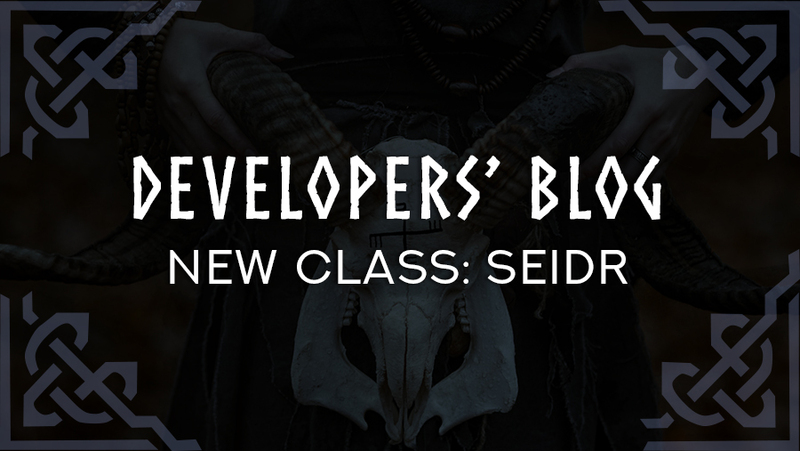 Here is our Seidr class for 5E that focuses on spirit magic. Chanter of Skies connects with the spirits that are high on the divine hierarchy. They are like gods but do not possess as much power. Still, they command the important parts of the circle, such as life, death, instincts, war. The seidr with the chanter of skies archetype is able to channel powers that are rare in frequency but grand on impact. Having the gift of these spirits means having the will to shape and manipulate the major aspects of the cosmos. Chanters of skies have to be aware of the responsibilities it brings, among with the force it grants. Balance is an important element for these spirits. Chanter of Kin connects with the ancestors of the seidr, as well as other seidr who passed away in time but still guide their younglings. These spirits know the society and dynamics of humanoid civilizations well and they are present among their daily lives more than other spirits. With summoning the ancestral kinsman, the seidr with chanter of kin artchetype can support his or her brethren on the battlefield with spirit warriors or entrancing seidr spirits. Chanter of Nattura connects with the spirits of nature. These are not high spirits such as the heavenly ones discussed above, but they are deeply present in nature and affect its all aspects. They bestow powers that can manipulate nature, summon it to sacred service or warfare, and be really proficient at everything the nature possesses. The seidr with the chanter of nattura archetype has sort of a druidic style. As druids do not exist in Svilland, it is this archetype’s duty to fulfil its place. Seidr with this archetype can call forth and bring life to trees, become animals with wild shapechange, and cast magic to deal with poison and disease. With any of the archetypes you play, be careful, as after some time you may feel the presence of spirits nearby you, guiding and aiding you on your errands. The seidr is never alone, you will represent the will of the sacred many through your deeds.